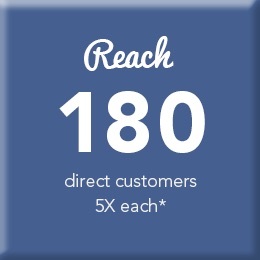 Did you know that Renoware has an integrated automated marketing feature? OTC Group has partnered with Renoware to offer this unique marketing opportunity. Just a click of the mouse and you can trigger a highgly-effective, personalized marketing program that takes up none of your time and is hassle free. * average based on 15 installs a month – 80% use of Po10 (see below). This fully-integrated marketing program is simple for dealers and their employees to use. When a job is processed through Renoware you will have two options to opt-in to the marketing material and the rest is then automatically completed. When you input your store information in the Renoware software you will notice a check box at the bottom of the form indicating ‘Participate in OTC Marketing’. This is the main on/off switch for the marketing program. If you check the box, you will be prompted at different points in the sales process to approve the sending of marketing materials. If the box is not checked you will not be prompted to send the marketing pieces to your customers and prospects. 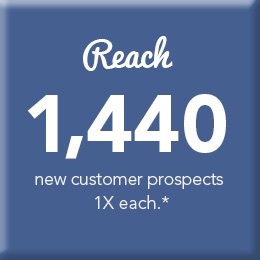 Maintain personalized contact with your customers and attract new customers. Plus, the postcards and custom mailings will be personalized from your store and, where appropriate, will include references to the work that was done which will automatically link to relevant offers and promotions. When the job is marked ‘sold’ you will be prompted to approve the sending of a ‘thank you’ card. The card will be sent to your customers from OTC but will appear to come from you. When the job is marked ‘complete’ you will also be prompted to approve the sending of postcards to your customers’ 10 closest neighbours (we call this the Power of 10 or ‘PolO’). The postcard will reference the fact that a neighbour of theirs has recently used your company and will include the type of project they did and your store information. In addition to these touch points, if you have taken part in the PolO neighbour postcards, your customer will receive two further mailings, one in the spring and one in the fall. These will be designed with your head office marketing team and will be a consistent message across the country but will appear to come from the individual stores. When the job is marked ‘closed’, you will be prompted to approve the sending of a postcard to the customer that will contain a personalized website link (Personalized URL or ‘PURL’). The customer will be asked to log into this website and complete a survey about their experience with the job and your company. This will also trigger a second contact point 6 months after the closed date with an incentive referral card (also a ‘PURL’) sent to your customer that they could use to refer a friend or neighbour to your store. 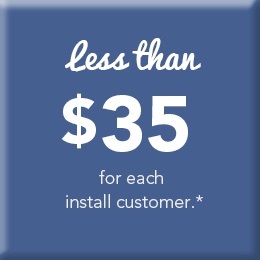 The total marketing cost is less than $35 per new install. If you were to take part in all portions of this automated marketing program the total cost would be less than $35 per new renovation customer. The store will be billed directly on a monthly basis for any jobs they have chosen. Knowing this up front allows you to build that cost into the price of the sale. A best practice would be to enter this as a miscellaneous cost in the Renoware program so it can be tracked.